Savory Bison Stew. 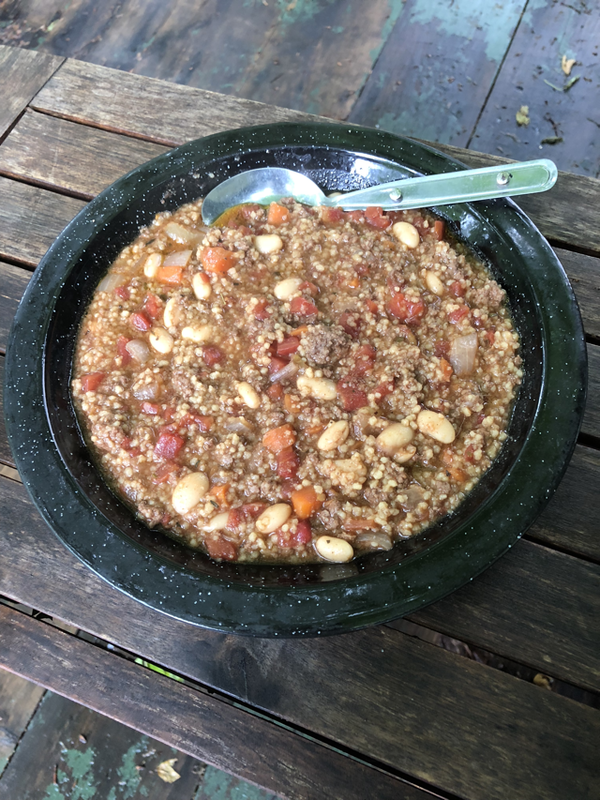 Packed with protein and carbs to replenish your fuel after a long day of backpacking. Bay leaf, chili powder and thyme to please the palate! 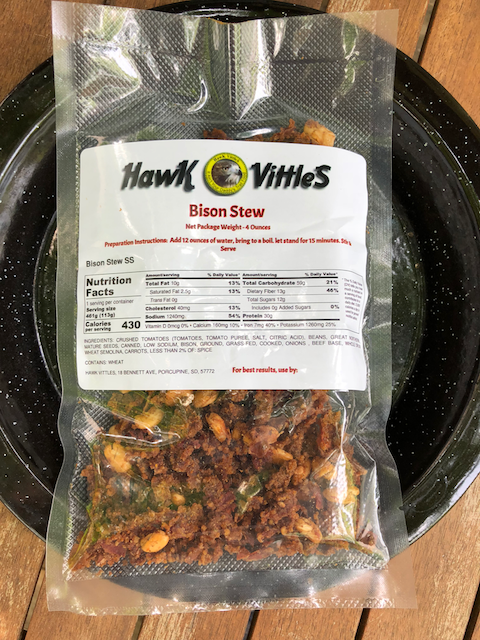 The bison stew is a tasty meal! As a matter of fact I'm making it right now for lunch at home! Its great on a cold night out camping! Fills me up and doesn't have all the salt and preservatives of the freeze dried stuff I used to take with me!